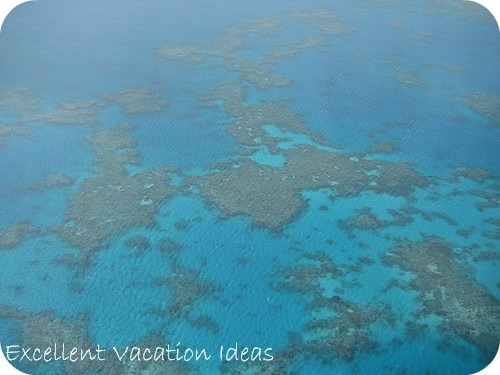 Great Barrier Reef Australia is one of the seven wonders of the world that you don't want to miss! No trip to Australia is complete without a trip to one of the seven wonders of the world, the Great Barrier Reef in Australia. 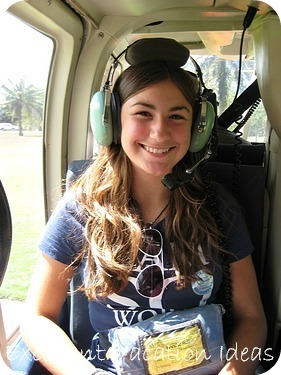 One of our favorite days in on our trip was the day we took the helicopter/cruise tour to the Reef. It started with a spectacular helicopter tour to the area, we spent a couple of hours there, did the helmet dive and then took the 3 hour cruise back to Port Douglas. 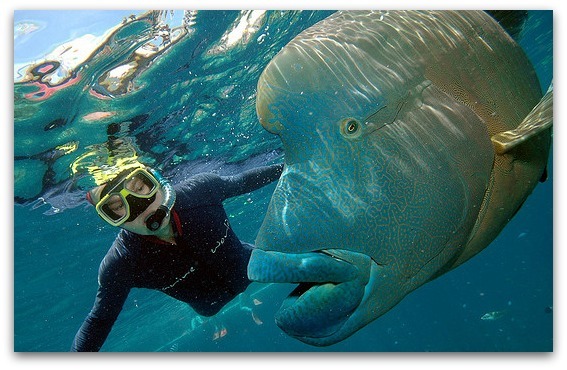 Whatever you choose to do in Oz, make sure you take the time to go to Northern Queensland and enjoy the Great Barrier Reef. It doesn't matter if you aren't a big "water person" (Warren wasn't either) as there is lots to do in the water, and out of the water and still enjoy the water, coral and fish. Warren hates boats and the water, and Montana had never been on a helicopter before, so this was the best option for all of us! We loved our day out and especially the helmet dive. Beautiful video of the Great Barrier Reef from the air and underwater - in the south part of this great wonder of the world near the Whitsundays. When I lived in Melbourne, back in 1995, I was an avid SCUBA diver at the time. I made sure that I went to visit the Mecca of all dive sites, the Great Barrier Reef Australia. For my "spring break" I fly to Cairns and did a 3 day live aboard dive boat. 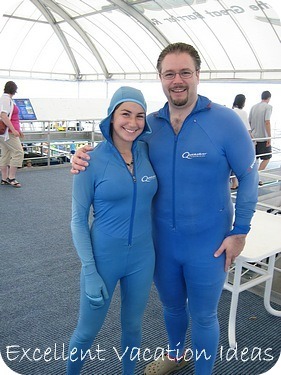 I have to tell you, this was a highlight of my time there, and a highlight for my dive log book! 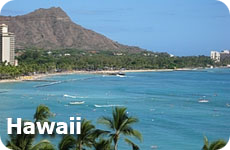 In fact if you are a diver or avid snorkeler. Make sure that you take the time and do a live aboard on the Northern part of the reef. It was so awesome to spend the time out at the reef and seeing the different fish and wild life that I hadn't seen while diving in the Caribbean. Every night a giant wrasse would hang out under out boat waiting for some "leftovers". It made for an awesome night dive! We saw black tip sharks, huge sea cucumbers and loads of coral. Thankfully the government and other organizations are doing everything they can to protect the area as I can see how it could get out of control. Check out this video from the Travel Channel and really experience what you can see and do while diving on the Great Barrier Reef Australia. You can also experience the wonder and beauty of this living organism from Southern Queensland, however from what I have heard the diving is so much better in the North. Check out more vacation ideas for the land down under and see some great videos giving you an overview of how great the country is to visit, and get a feeling for the people that live there. Sydney is a vibrant, multicultural city, with a beautiful Harbour and so many things to do. Check out ideas on what to do in Sydney for your next Australian Vacations.